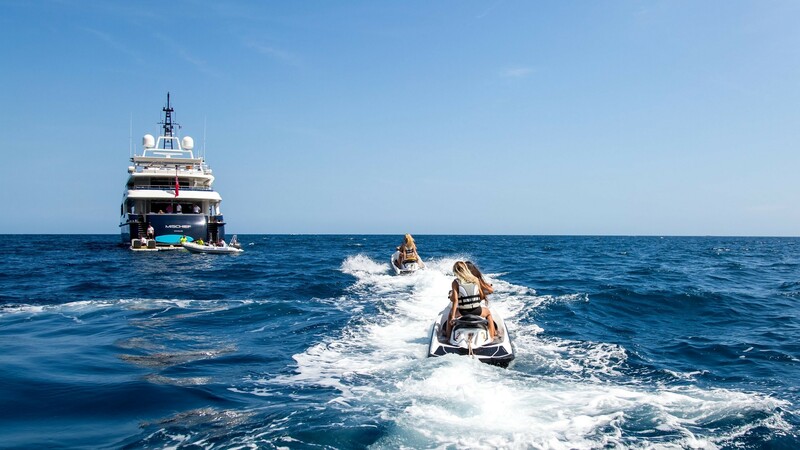 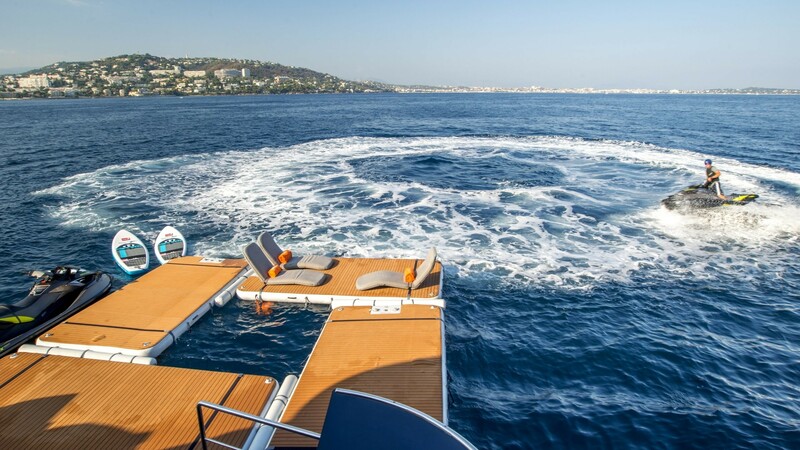 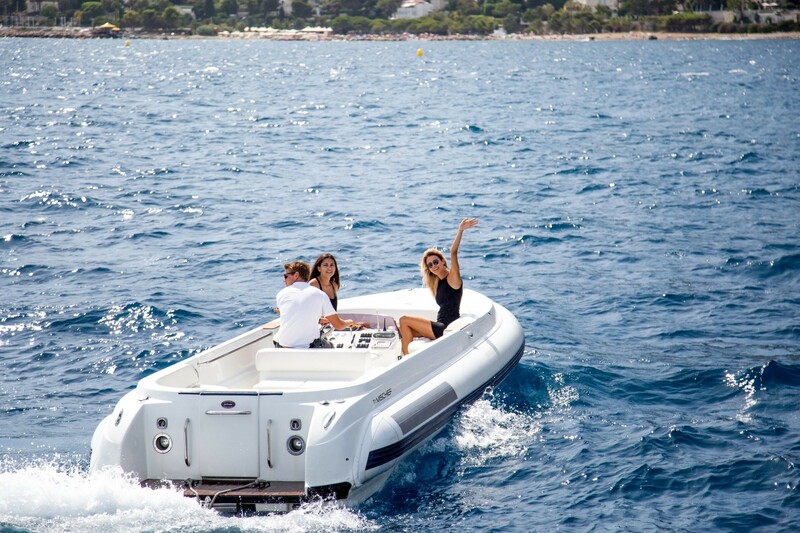 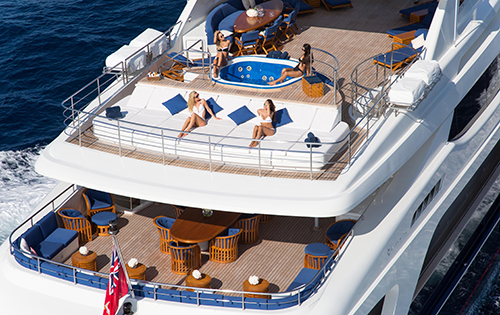 is now available for luxury yacht charters in the Western Mediterranean (France, Italy, Sardinia, Corsica, Sicily) and Eastern Mediterranean (Croatia, Turkey & Greece). 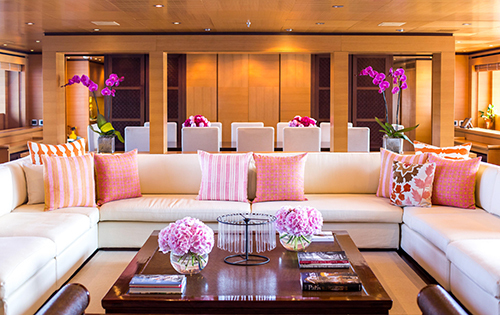 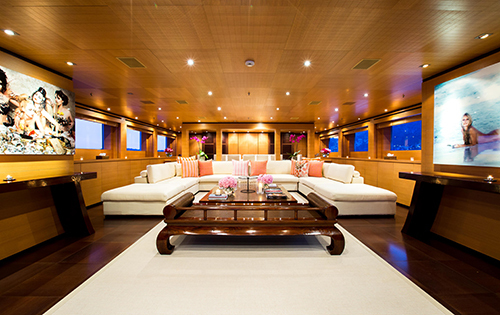 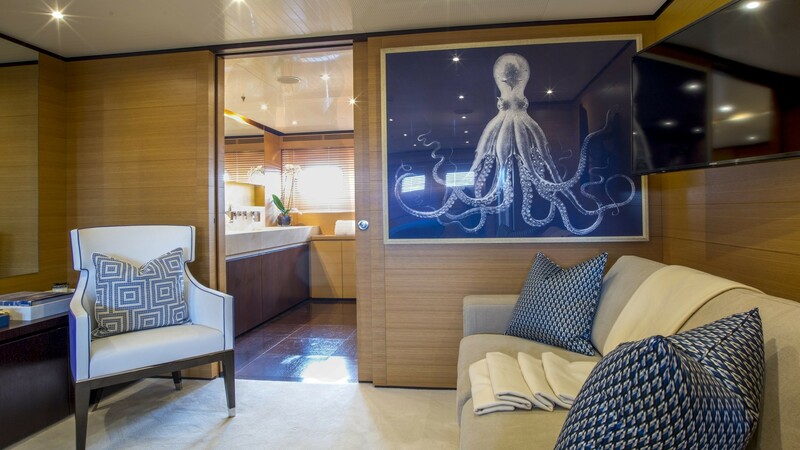 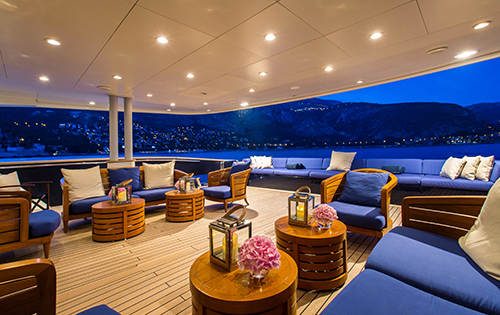 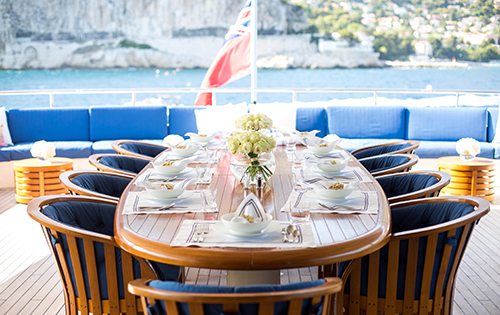 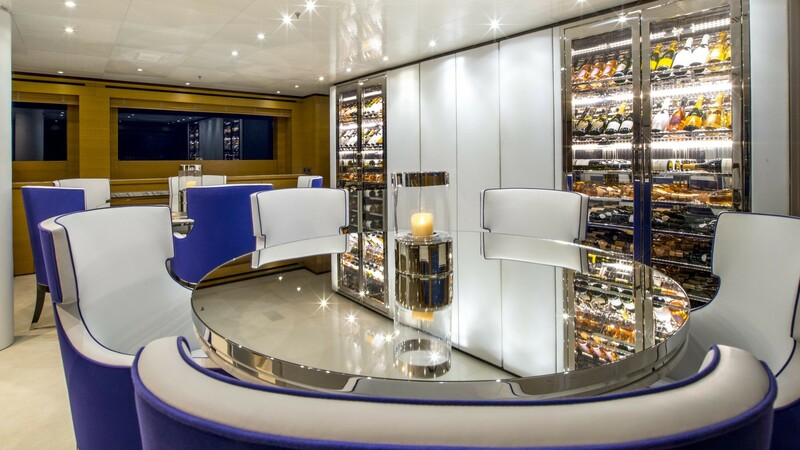 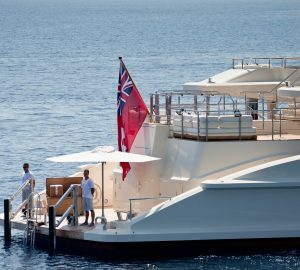 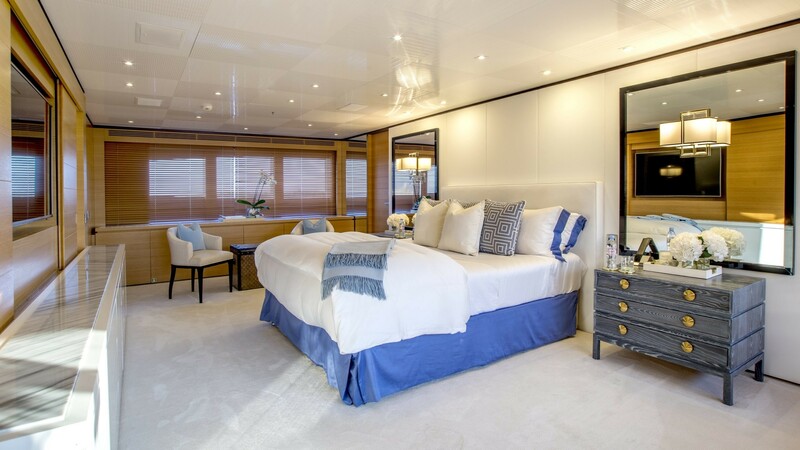 She can accommodate up to 12 charter guests overnight and 12 whilst day cruising. 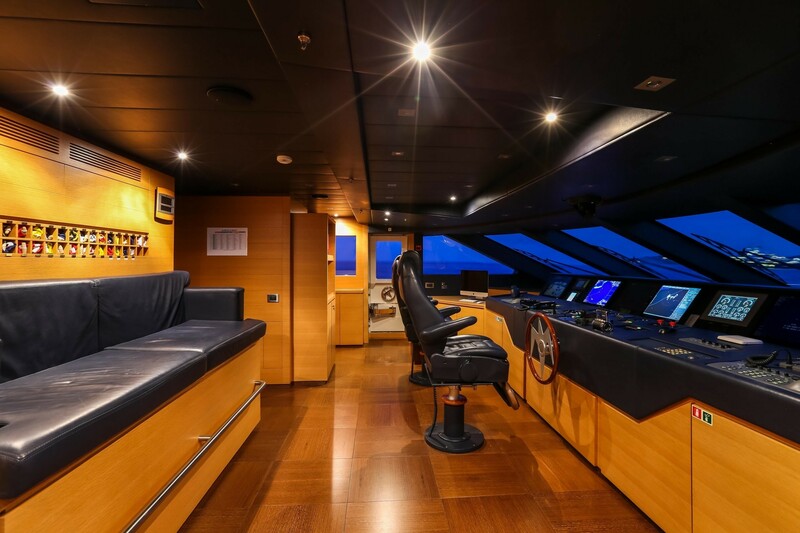 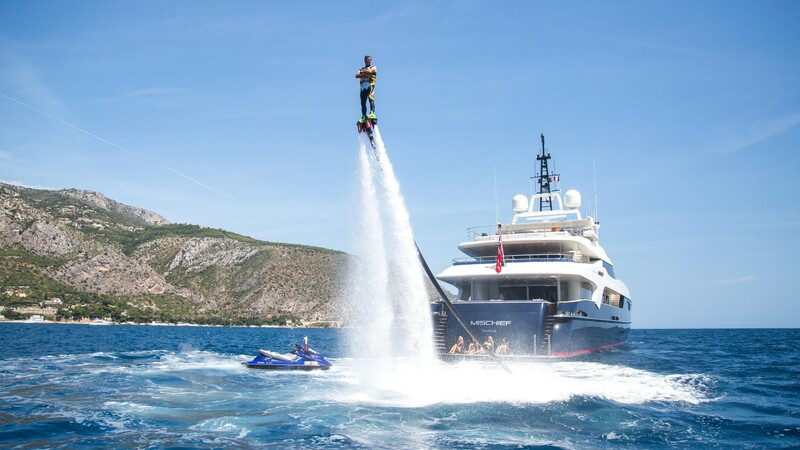 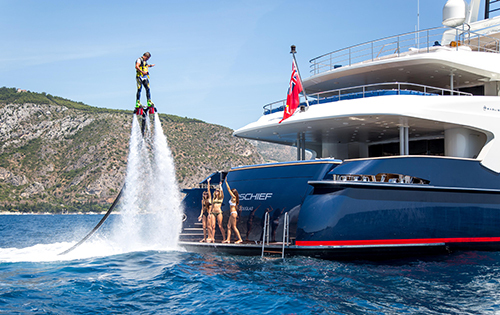 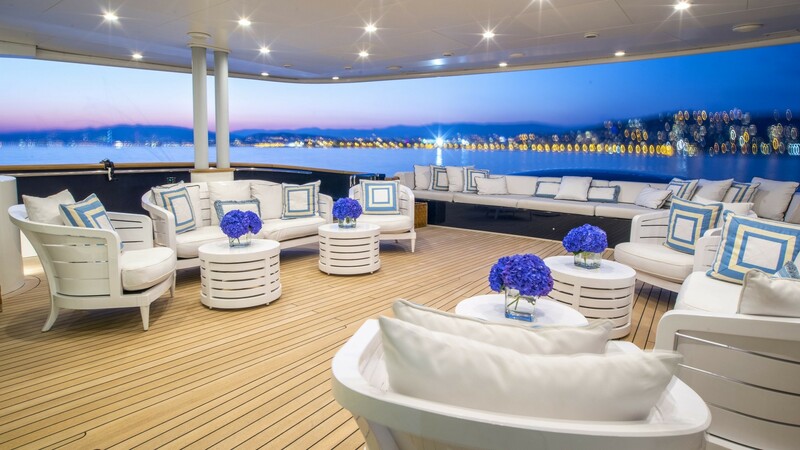 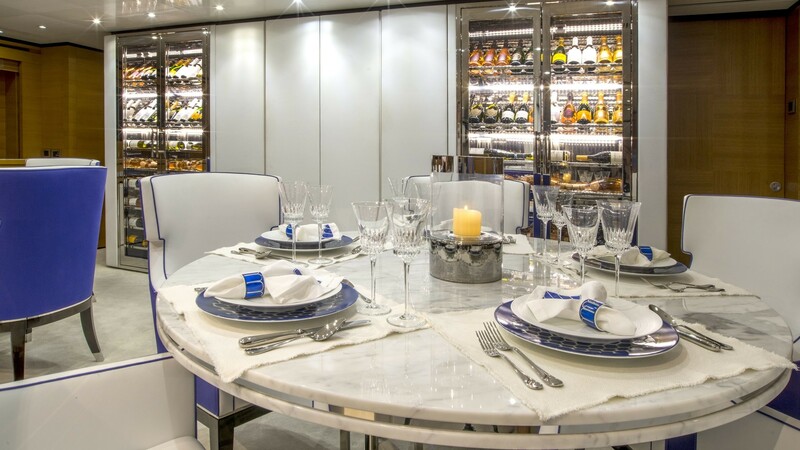 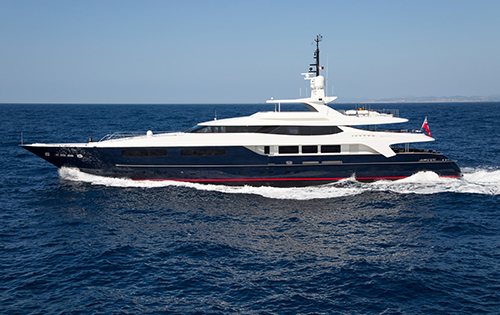 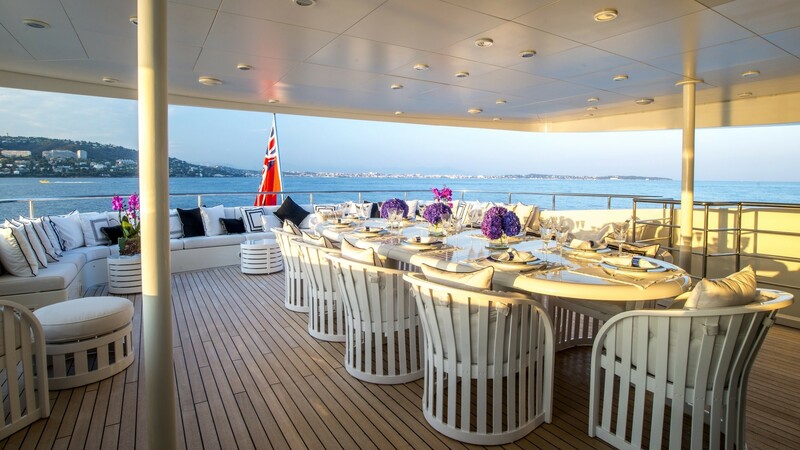 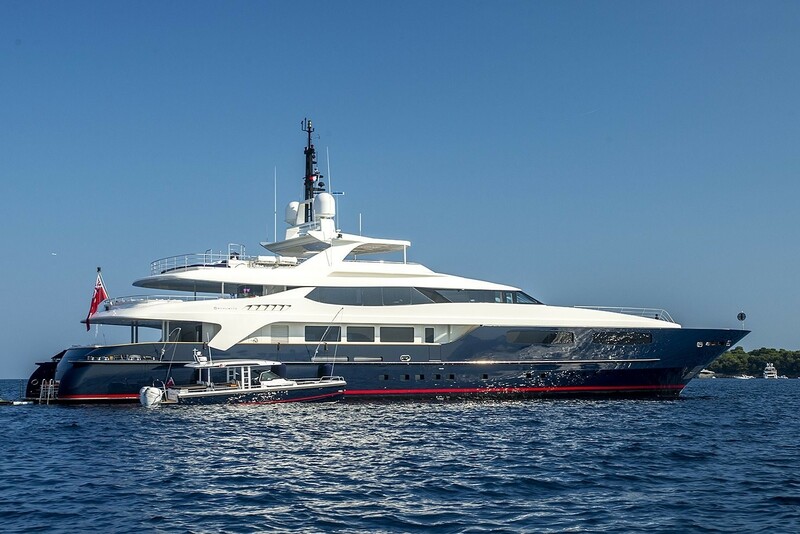 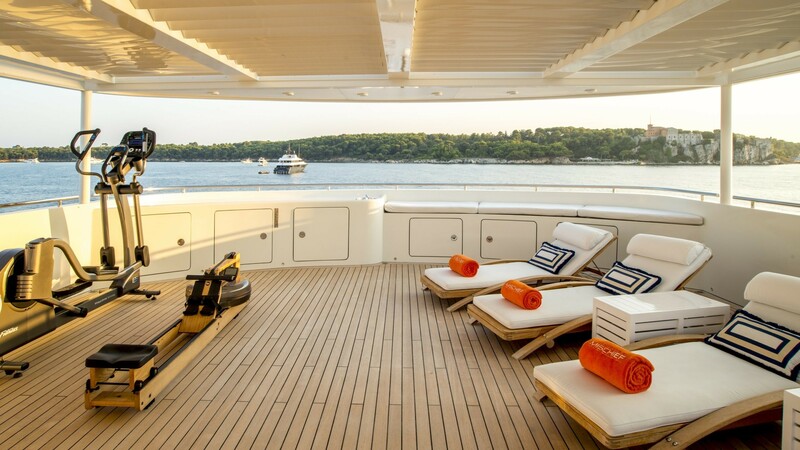 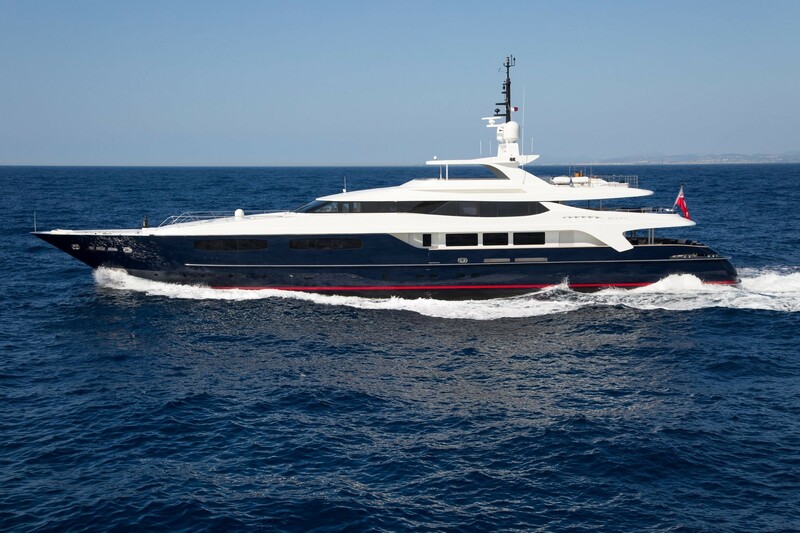 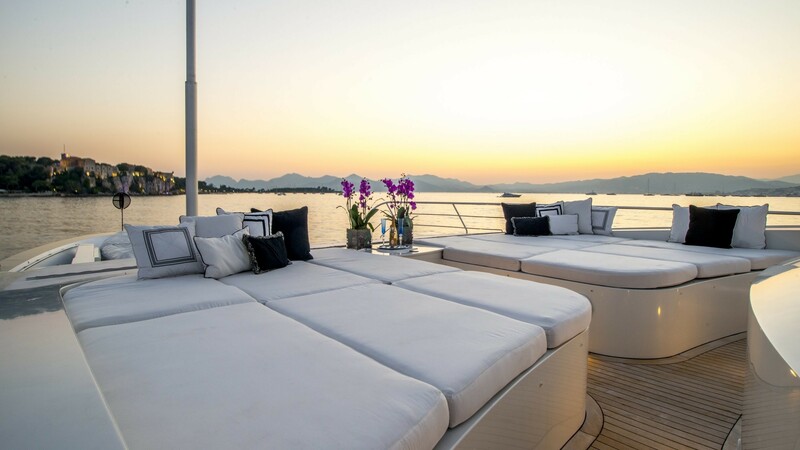 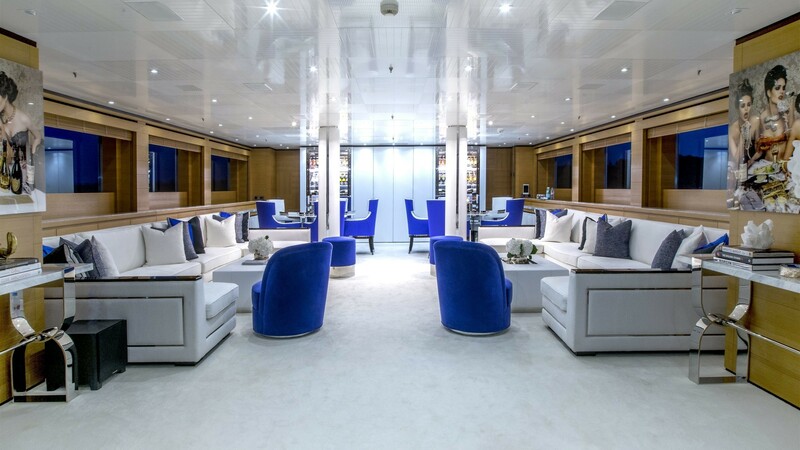 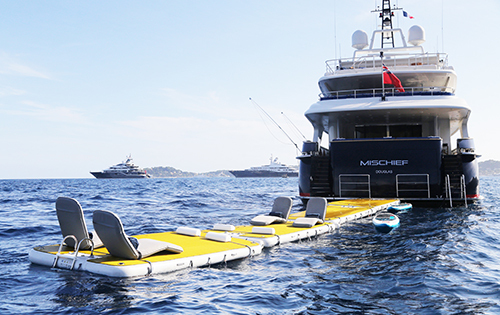 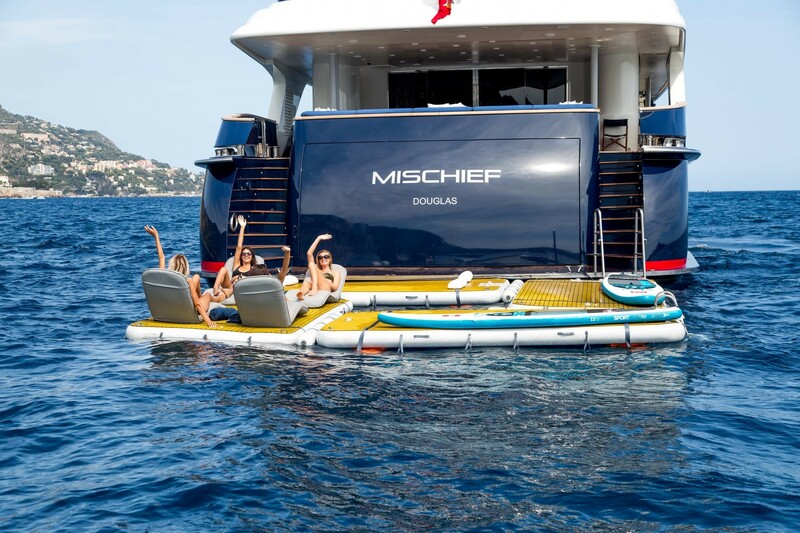 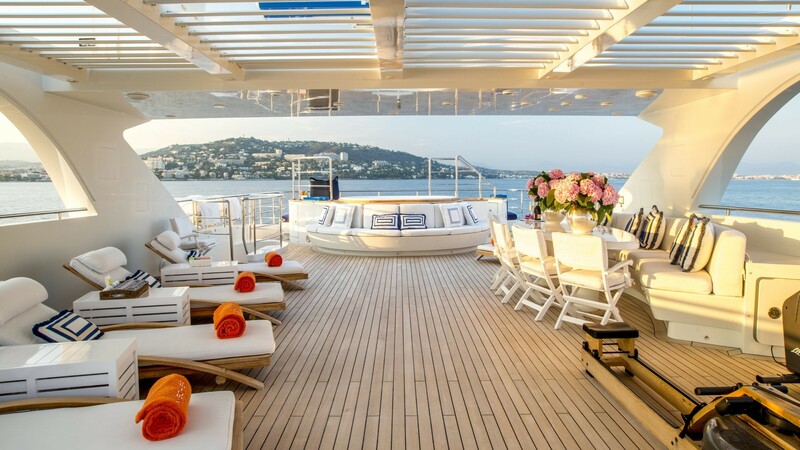 Some of the features of superyacht MISCHIEF includes a very desirable full width master and VIP cabins as well a vast deck areas, state-of-the-art entertainment system and newly installed VSAT communication equipment. 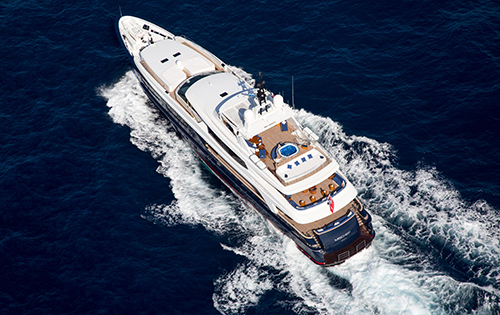 2 x CAT 3516 B DITA SWAC (2.700hp) diesel engines allow cruising speed of around 12 knots and a top speed of 17 knots. 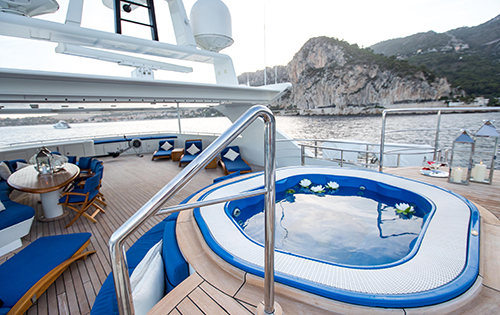 In 2012 yacht MISCHIEF received an upgrade to her stabilizer system that provides even more comfort at anchor. 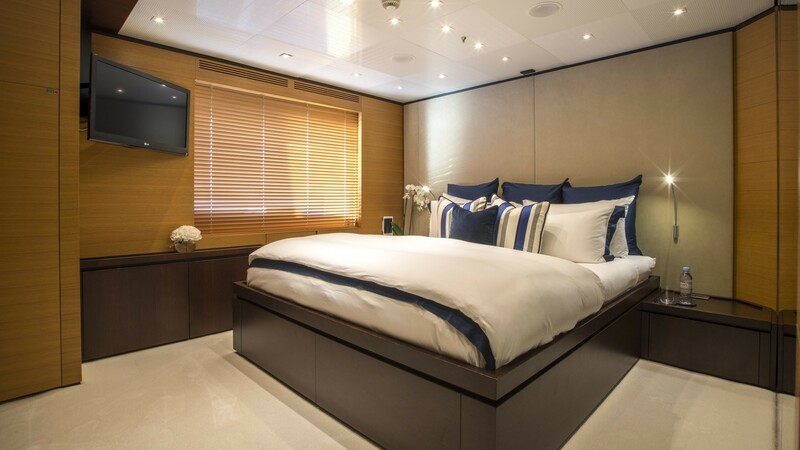 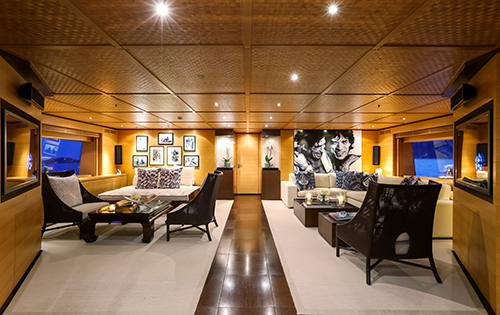 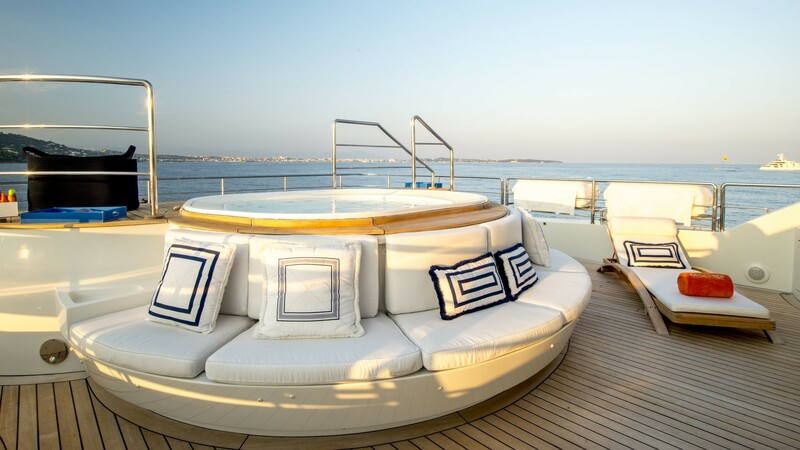 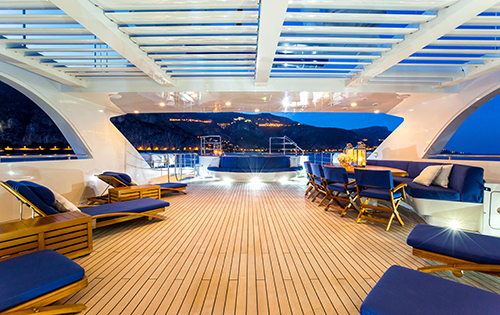 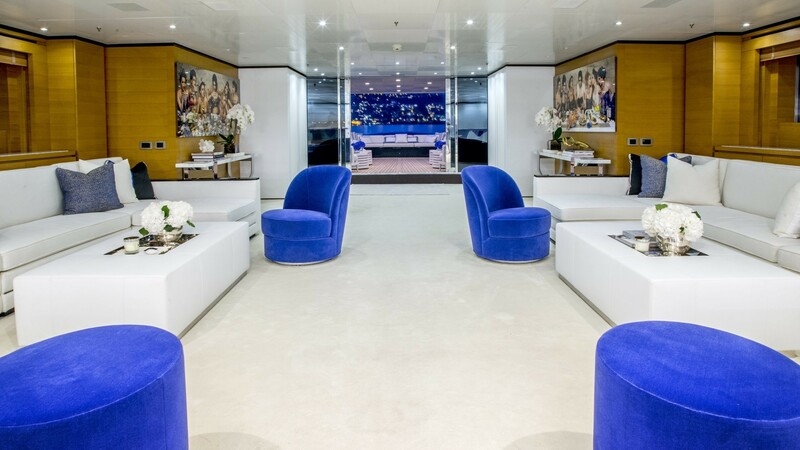 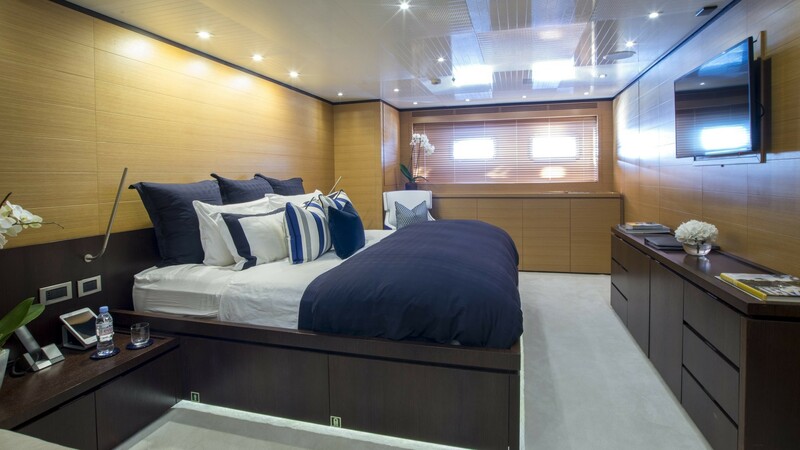 The Baglietto MISCHIEF yacht has a Full-beam Master Suite on the Main deck. 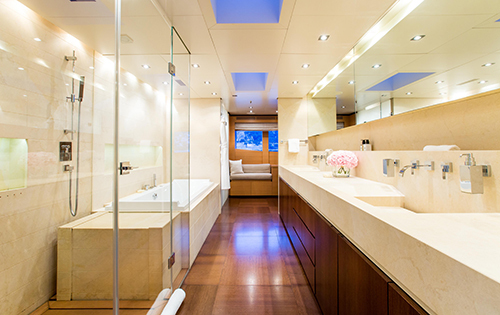 Spa Pool bath and shower, two separate toilets/bidets. 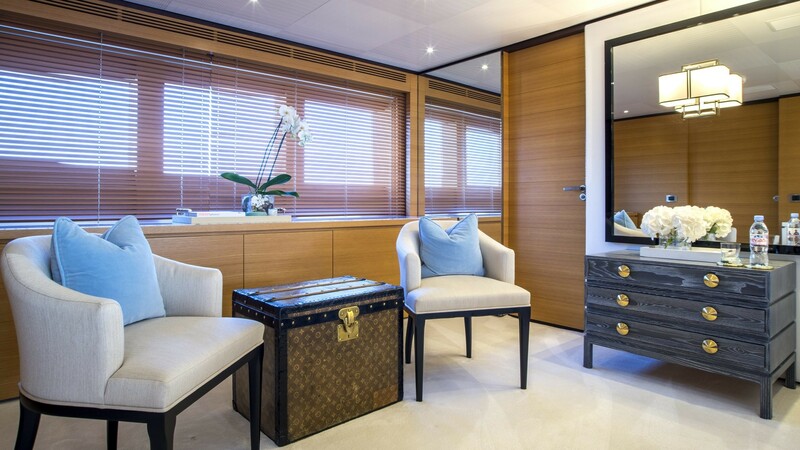 Walk-in wardrobes. 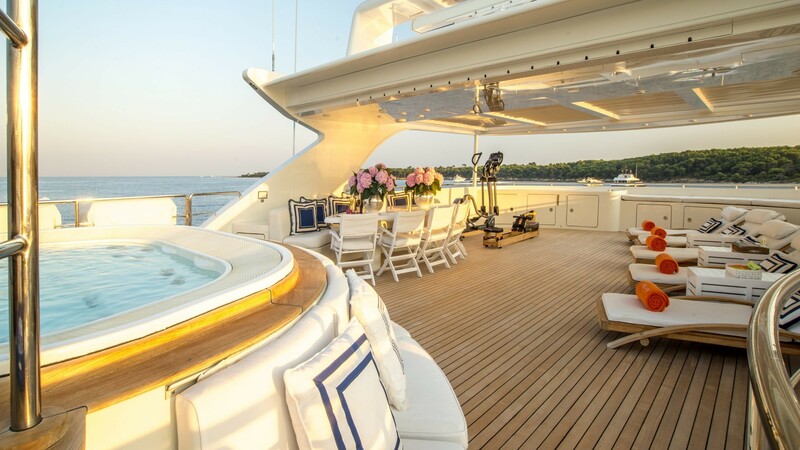 Safe and mini bar. 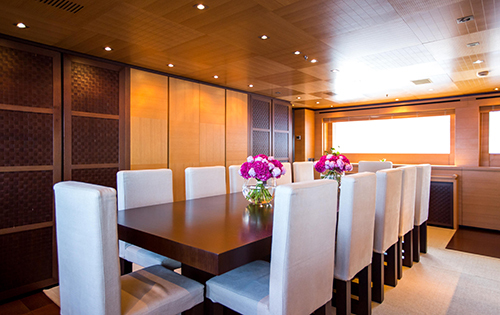 50'' Plasma screen television. 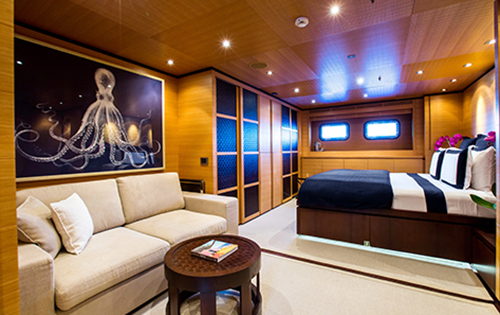 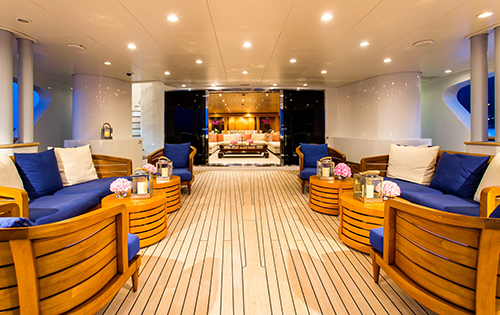 Two identical full-beam VIP cabins on the lower deck, en-suite with shower and separate toilet/bidet. 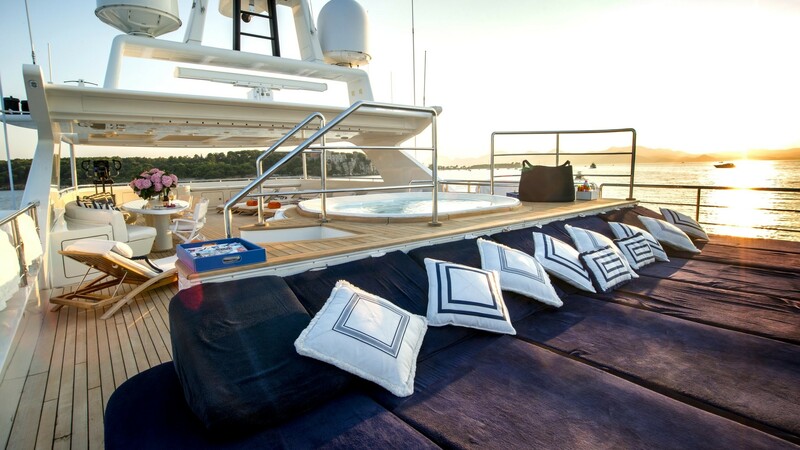 Safe and mini bar. 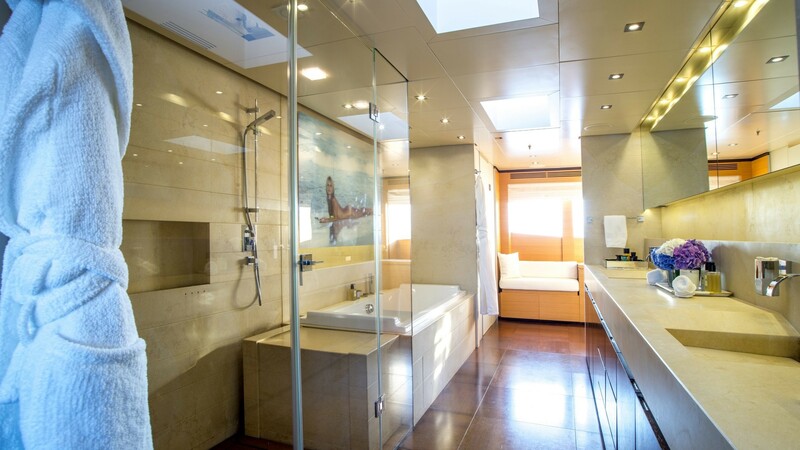 27'' Sharp LCD television. 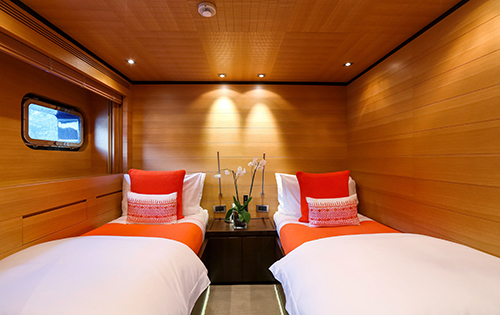 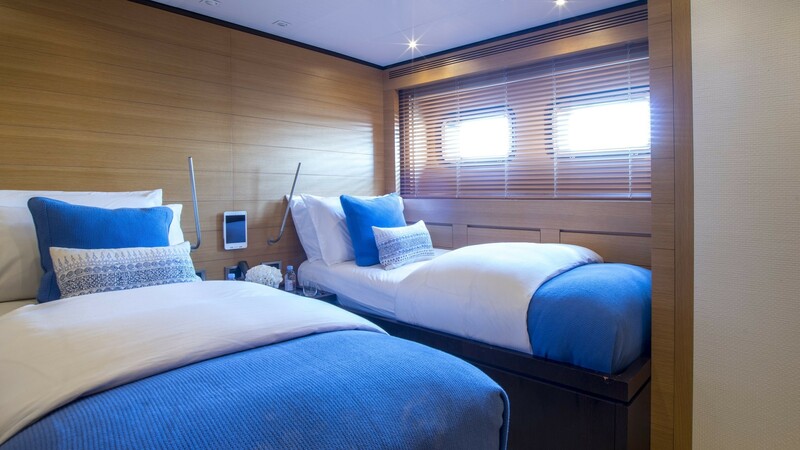 Two identical twin cabins on the lower deck, en-suite with shower, toilet and bidet. 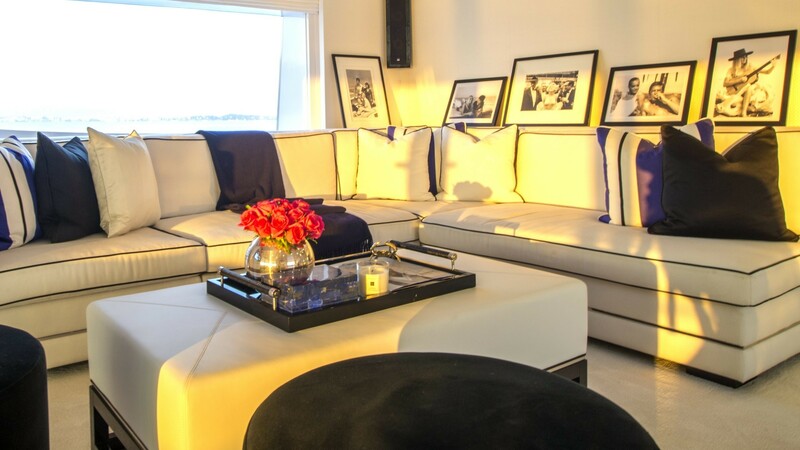 20'' Sharp LCD television.